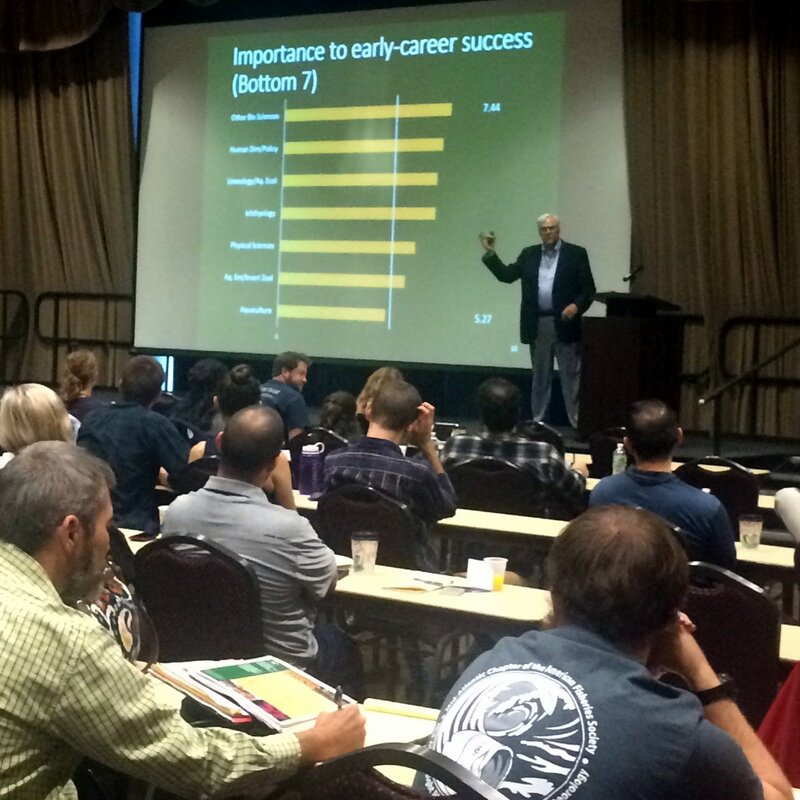 This year’s annual meeting will included our usual mix of exciting local fishery science presentation updates, our annual business meeting and student travel fund auction. BUT… we added a couple of exciting additions! 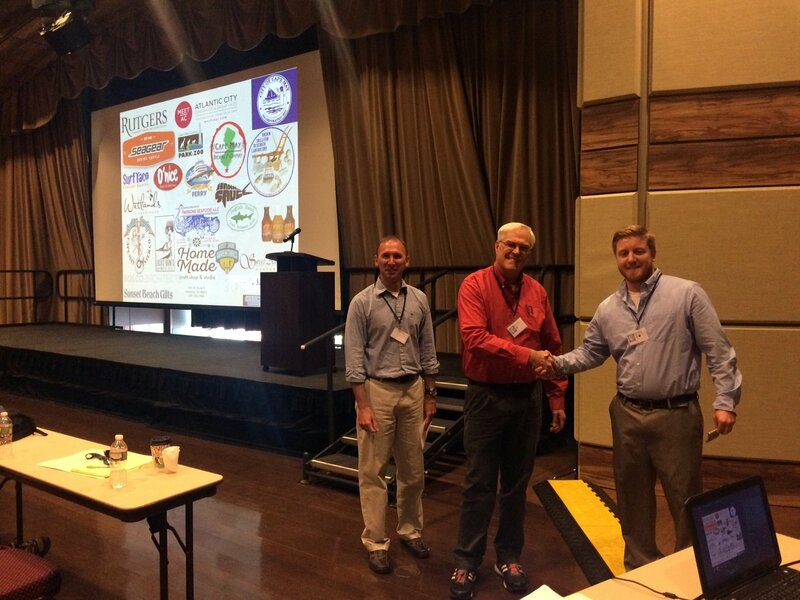 We partnered with focus the MidAtlantic Bight Physical Oceanography & Meteorology conference this year to make an impressive joint meeting. 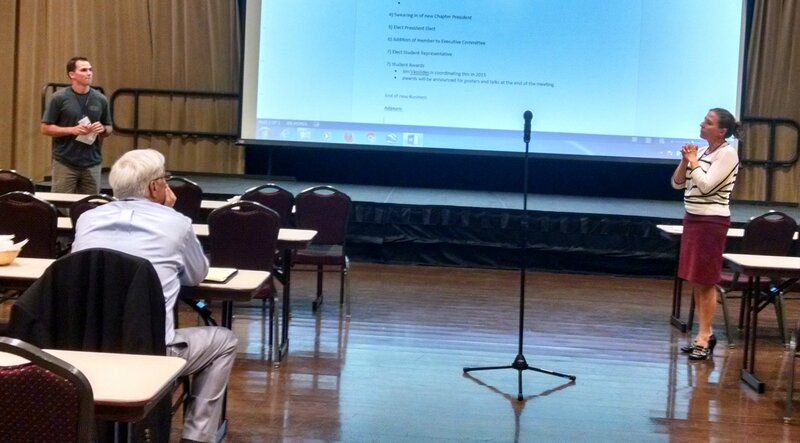 Their meeting focused on the oceanography and meteorology of the Mid-Atlantic Bight and adjacent regions, including the Gulf of Maine, the shelf south of Cape Hatteras, as well as the coastal estuaries of the U.S. East Coast making it an ideal partnership for our fishery focused meeting. 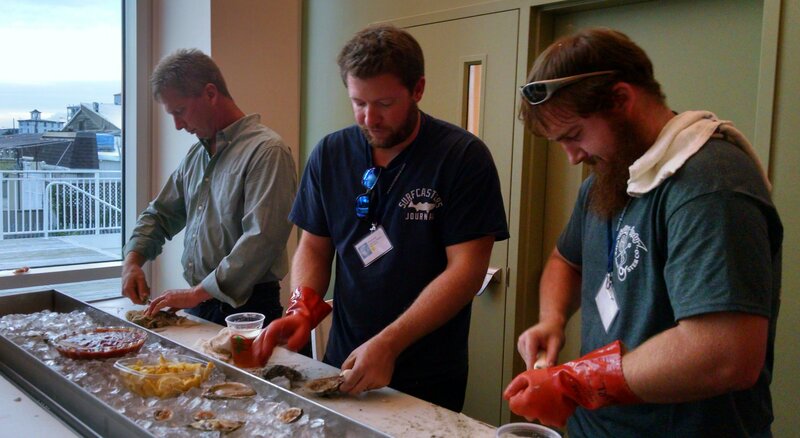 Jenny Paterno also coordinated a wonderful teacher workshop to serve some of our local teacher members and help them bring local fishy research into the classroom. 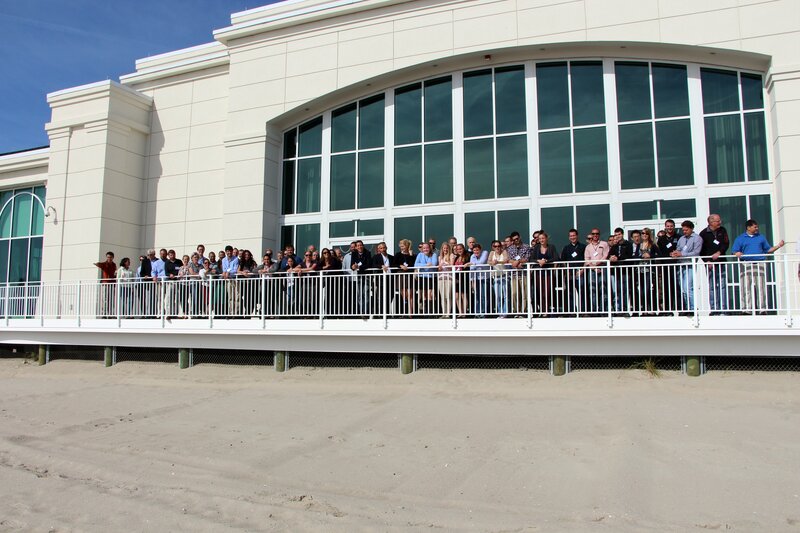 The Cape May Convention Hall hosted us in their fantastic beachfront facility. It was the perfect setting for our meeting! They were very accommodating to all of our needs. The poster and networking social was a great opportunity to network and learn about current and upcoming projects going on in our region. We were lucky enough to have great beer from Cape May Brewing and fantastic eats (including freshly shucked oysters). And wow, we had fantastic donations for the student travel auction/raffle this year! 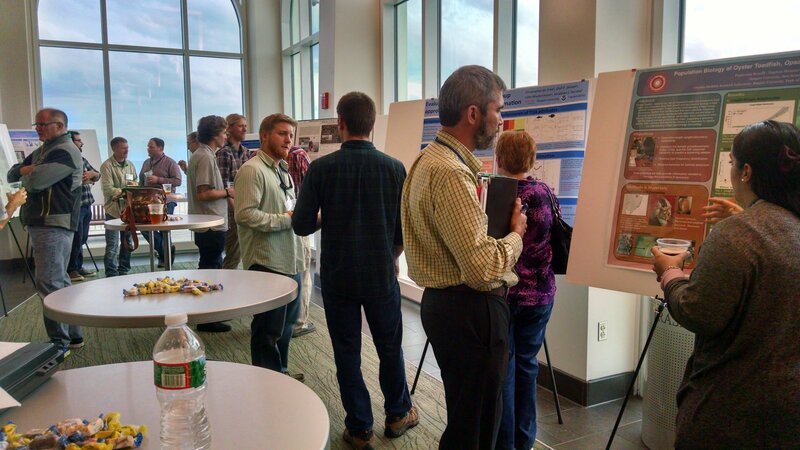 We had amazing student participation this year with attendance, talks, and posters. This year’s Best Student Presentation was “Ecological Consequences from the Historical Damming of New England Watersheds” by Steven Mattocks from University of Massachusetts Amherst. This year’s Best Student Poster Presentation was “Population Biology of Oyster Toadfish, Opsanus tau, in New Jersey Estuaries” by Francesca Roselli, and undergraduate at Rutgers University. Fantastic job! Error: Error validating access token: Session has expired on Tuesday, 26-Mar-19 05:03:35 PDT. The current time is Saturday, 20-Apr-19 22:12:02 PDT.